It is no secret that I love Christmas, everything about it, from the food to the shopping to the decorations. 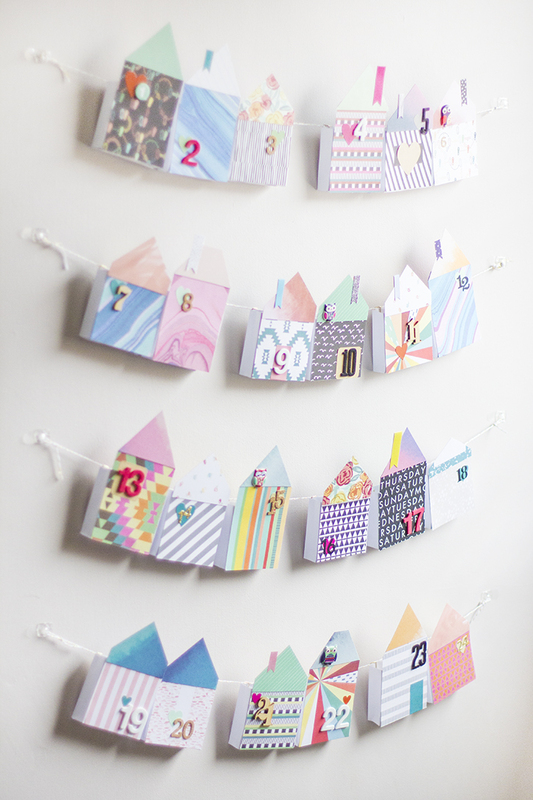 So today I am sharing with you the first Christmas 'make it' of the year - how I made our new Advent Calendar. 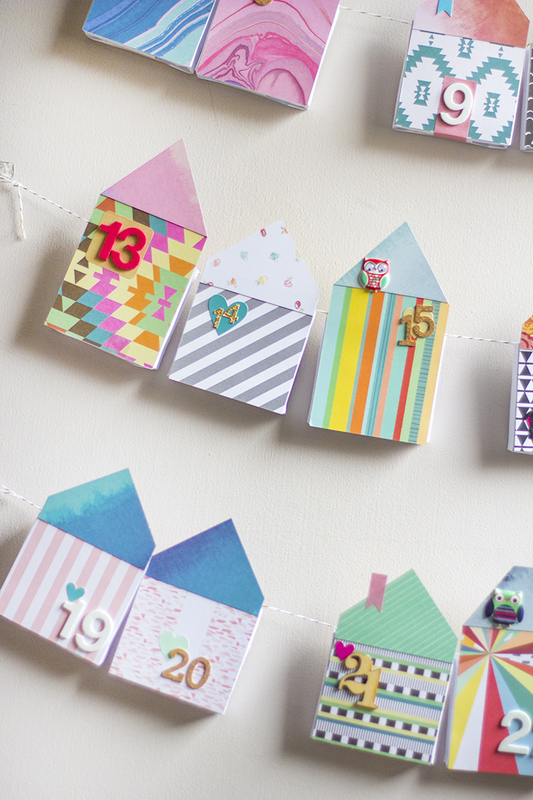 I wanted to make one that I could fill up myself and that Steve and I could share, so a fun colourful house Christmas countdown seemed perfect. 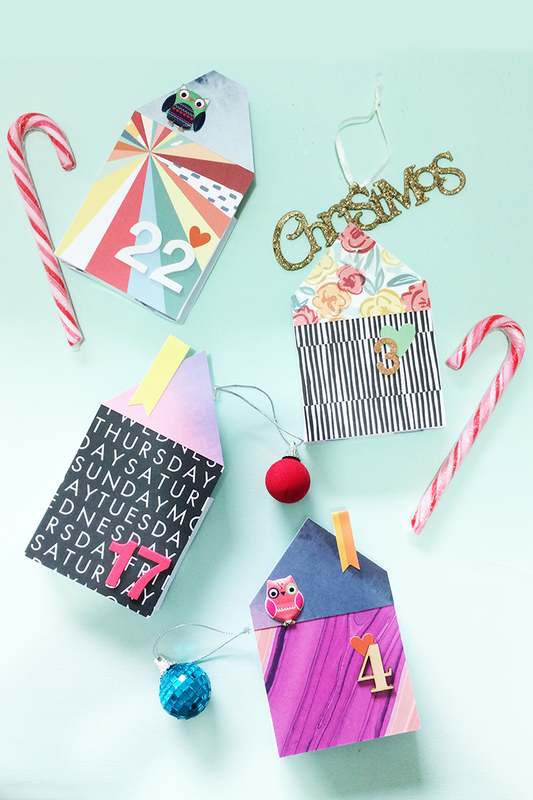 You will need: 24 sheets of A5 white paper, a small box or packet to use as a template, a selection of colourful card, double sided tape, some stickers and embellishments, number stickers from 1 -24, 48 paper clips, sticky-tape, scissors, bakers twine and your choice of filling. Step 1. First to make the paper pouch which will hold your treats, start by taking your A5 paper and folding it over leaving a 1.5 cm strip at the bottom, then wrap it around the small box (I used the box from the paper-clips) fold over the end and seal it with sticky tape. Step 2. 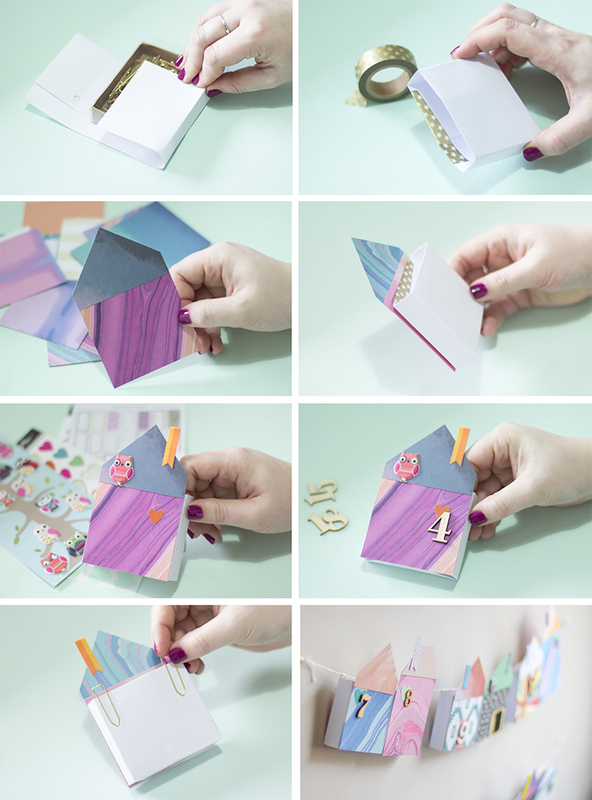 Slide the box out of the paper pouch and seal the joins with some washi tape. Repeat for each of the 24 days. Step 3. Then you can make the houses to stick to the front of the pouch. 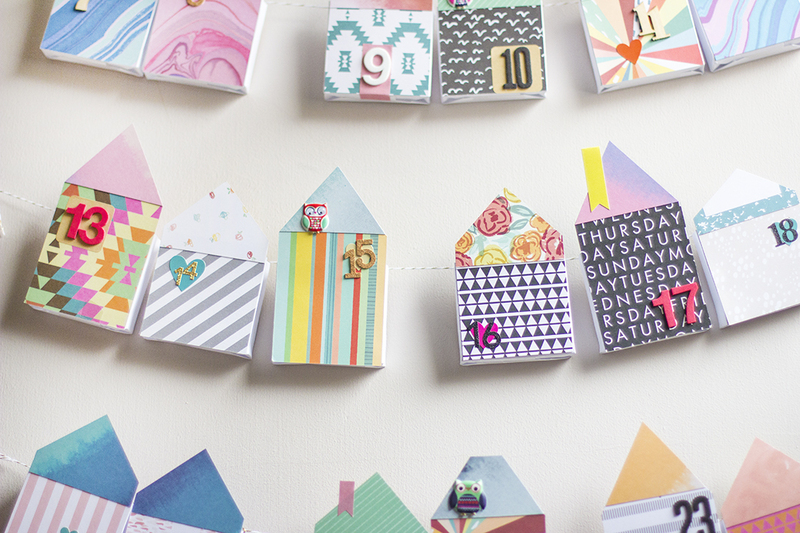 Cut out some squares and rectangles big enough to cover the biggest side of your paper pouch. Then cut some triangles to create rooves and stick them to the rectangles with double sided tape to create the base for your houses. Step 4. 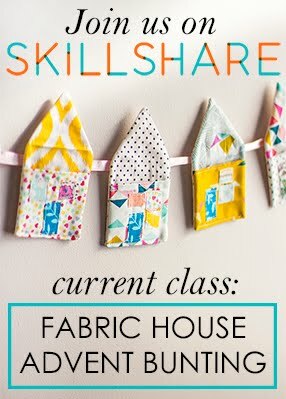 Stick your houses onto the paper pouches. Repeat this for all 24 pouches. Step 5. Next, grab a bunch of stickers and embellishments and add some doors, windows or chimneys to each house, I added these little owl stickers too, aren't they cute! Step 6. 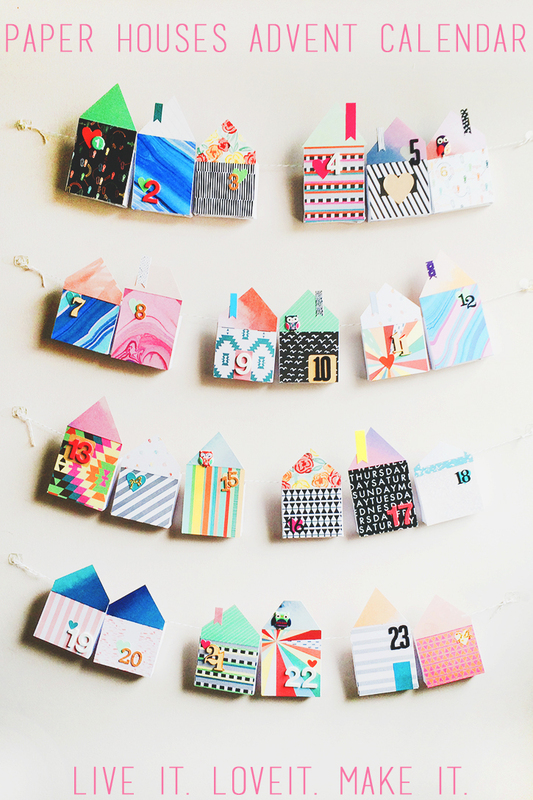 Arrange your houses in an order that you like and add your numbers, I used a selection of thickers stickers and wood shapes from my stash, but you could just stencil or draw the numbers on each house. Step 7 & 8. 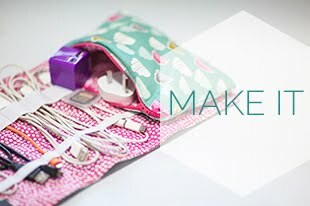 Add two paper clips to the back of each pouch and thread the houses onto a length of twine. 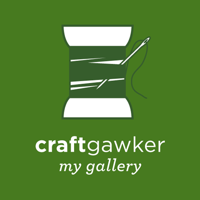 Then you are ready to hang them on a blank wall with command hooks or just washi tape if you prefer. Oh and don't forget to fill them up with goodies ready for December the 1st. 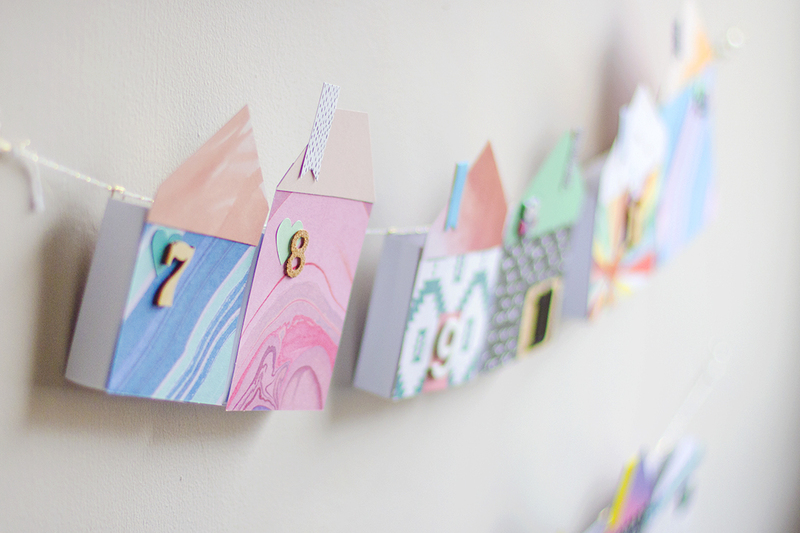 I just love how mine turned out, if you have children or youngsters in the family I reckon this would be an awesome project to get them involved with, they could each decorate some houses and help hang them in number order, or mix them up to make each day harder to find. 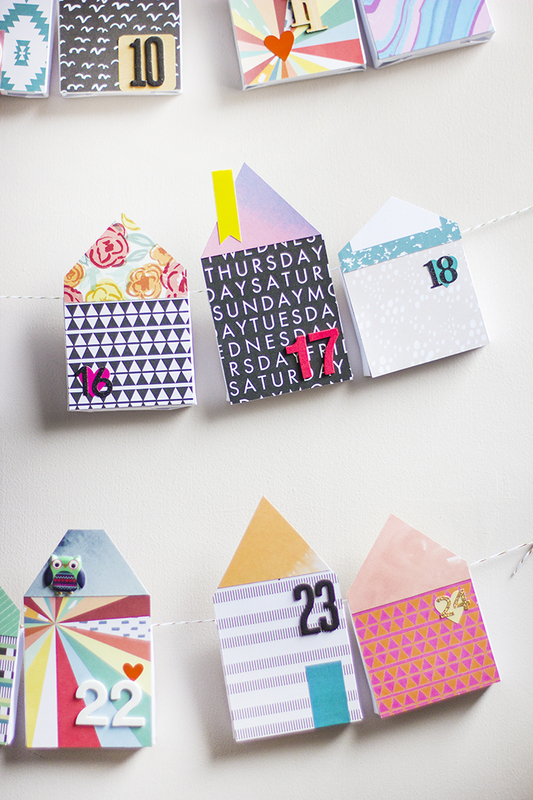 What would you put in your advent calendar? I love the idea of mixing it up with sweets, wintry activities and little treats like Lego figures and nail polishes etc. I can't wait to start opening ours!